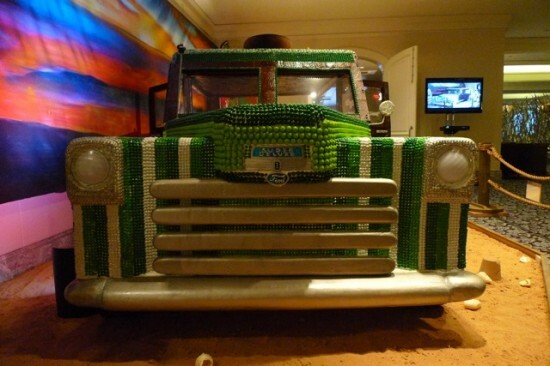 If you thought elaborate gingerbread houses were impressive, wait until you see the life-size gingerbread car a team of chefs have created, in California. I’ve seen quite a number of gingerbread houses this holiday season, and don’t get me wrong, some of them were pretty cool, but I was definitely looking for something a little more original. 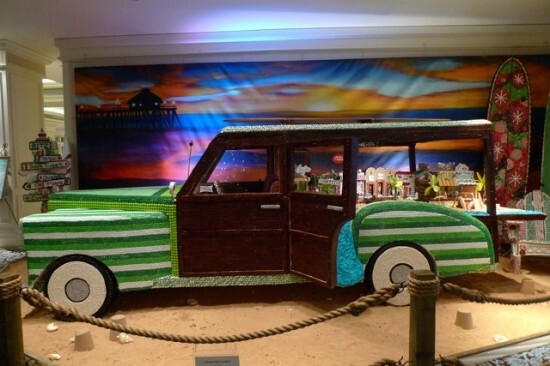 Luckily, the chefs at the Ritz-Carlton Laguna Niguel, California came up with a brilliant idea – create an edible replica of a 1948 Ford Woodie. 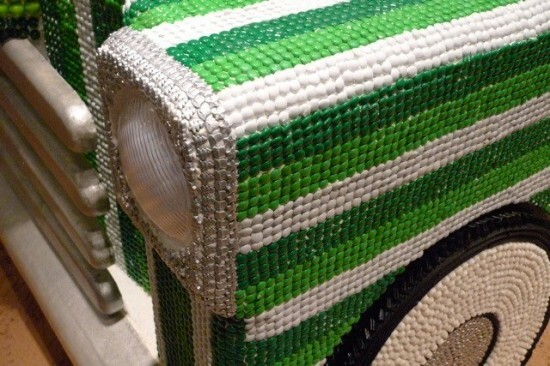 Unless you’re a big car fan, you’ve probably never heard about this model, but who cares, it’s an edible car! The 8-foot-long, 6-foot-wide and 5-1/2-foot tall masterpiece was built from 150 pounds of gingerbread, and covered with 300 pounds of royal icing and thousands of M&Ms. 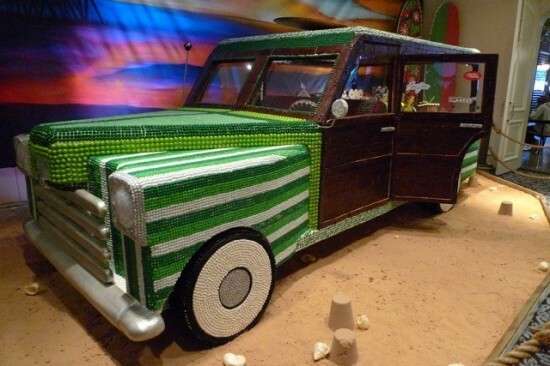 Chef Brian Sundeen and his team spent approximately 800 hours working on the gingerbread house, but you can see their efforts paid off, just by looking at the car. 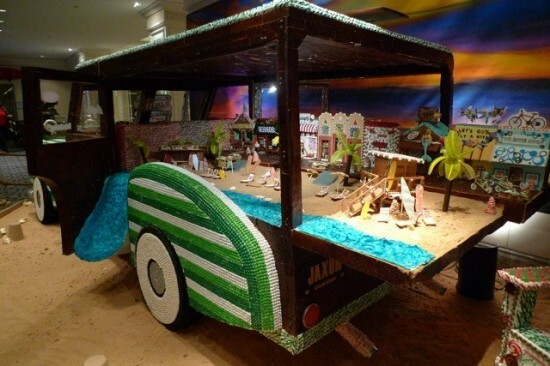 The gingerbread 1948 Ford Woodie will be on display until December 31st, at the Ritz-Carlton Laguna Niguel, after which it will probably broken into pieces and given to children.